You may have money values of your own. But have you established your family’s money values? Let me show you why you’d want to, and how to do it. So, if being clear on our values is what’s behind our decision-making, and we have to make oooooohhhh…only about one gazillion money decisions in our lifetime, then can you see why it makes sense to clarify your money values? But let’s take it further than that – we are, after all, wanting to shape our children’s money futures in positive ways. 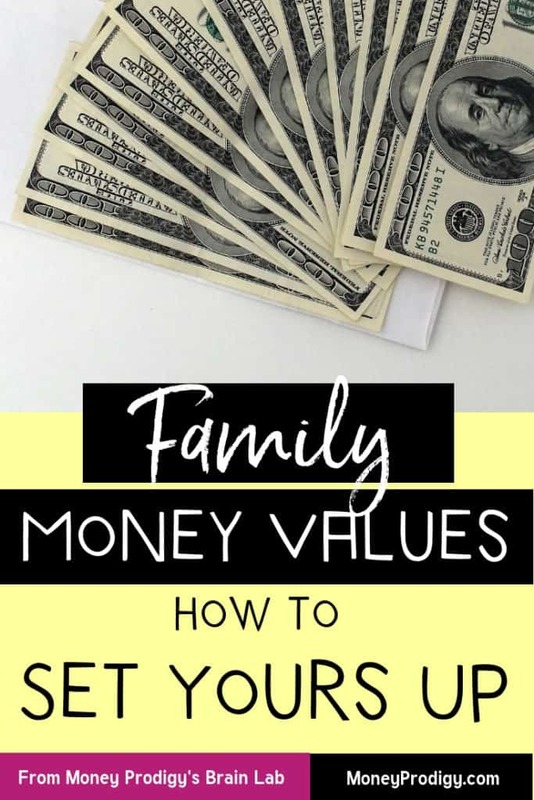 Not only do you need to become clear about your own money values, but you also would be wise to create a set of Family Money Values that you can instill in your kiddos. Doing so means that once they get to those money decision-making points in their own lives, it becomes a bit easier to choose the right thing. Psst: The “right thing” for them will likely change as they age – you cannot control that. But you CAN control some of that inner dialogue that will happen as they choose. That’s why you want to make sure the inner dialogue has some really great information in it! Values are what’s most important to you. And when you can clarify what those things are, then making decisions becomes much easier. That’s because you have actual values to measure each option against to see if it’s in line with what you want or find most important in life. According to Tony Robbins, there are two types of values: ends and means. End values include things like: caring, contribution, freedom, feeling like you’re making an impact, love, success, freedom, intimacy, security, adventure, power, growth, passion, comfort, health, etc. 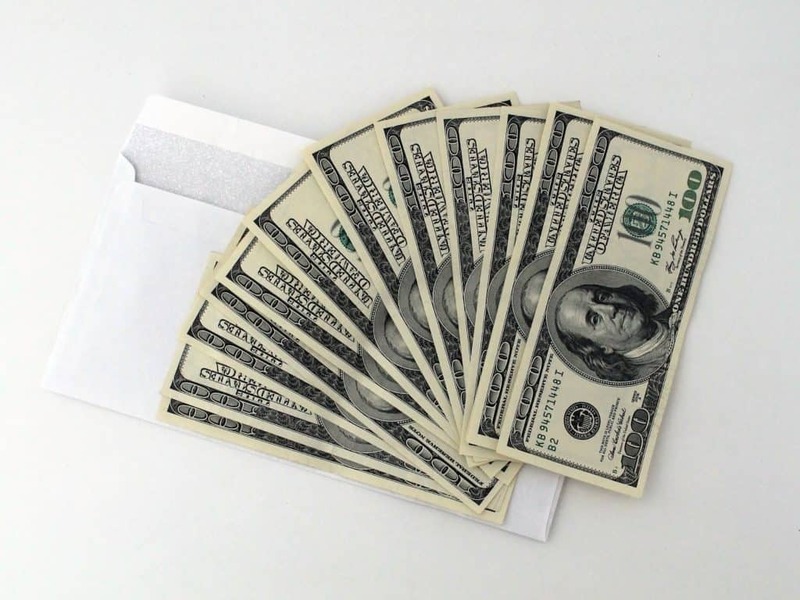 Your money values are means – they are one way (there are others) for you to get to the deeper, emotional values that you want in life, such as freedom, love, security, a feeling of impact, etc. Think about it – we all know the saying, “money can’t buy happiness.” And this is totally true. However, there are ways that we can spend + manage our money in order to lead us towards the end values we are looking for, such as time freedom, raising a family, etc. Money values = the rules and guiding lights you use in order to maximize your money so that it can support the life you want to live. Let’s look at some examples of personal finance values and money values examples. One thing about values is that they’re very personal. Each person has a different set of values. And even within the same set of values, one person will prioritize certain values over another. So, why would you want to create a set of family money values (if your kid might not end up valuing the same things you do, anyway)? As parents, we have the unique ability to imprint upon our children. Think about the family traditions you used to do as a child that you still do, even if you may not entirely know why. I’m not saying we should brainwash our kids; but what I am suggesting is that you choose a set of family money values that you verbally share with them + regularly model for them so that they have some sort of money foundation to go back to when they need to make their own money decisions in the future. It's sort of like learning algebra – they may not use algebra as adults, but just learning about it, and working through how to solve equations without knowing everything there is to know, primes them to make better decisions in the future. You’ll want to come up with a list of family money values, and then not only communicate them with your family, but also start to live them in ways that your child can see. Would you prefer to own a higher quality item, or spending the least amount on something and putting the rest in your savings account? Do you value having loads of savings as security, or do you value having loads of protection in other ways (such as insurance)? Do you value your time over making money, or making money over having more time? Do you believe in a third way? Do you value saving towards the future (college, retirement)? Or, do you value living in the now, and know that the money will be there when you need through grants/scholarships/etc.? Do you value spending the money in the present since you don’t know how long you’ll live so that you can live your best life now? Is giving money something you value? Do you value giving your time to others? Are you open to taking financial risks, and how risky will you go? Do you value discounts over paying full price? Once you’ve got these down, I encourage you to create a Family Money Values poster and hang it up where everyone can see it. As you go about your normal daily and weekly activities, don’t be afraid to use your newly clarified money values to explain why you’re making a decision while you’re actually doing the deciding so that your child can see them in action.